A few months ago, my friend Albert sent me an article he had found about the growing craft beer scene in his home city of Oakland, CA. 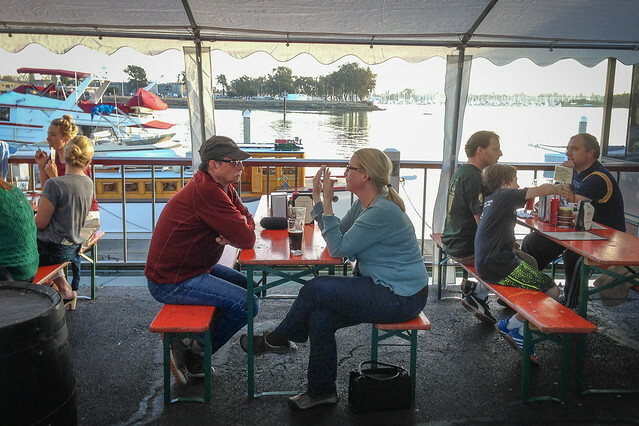 I hadn’t been to any of the ones he said he liked (and I hadn’t seen him in a while) so I suggested getting some friends together to tour some of his favorite East Bay beer hangouts. 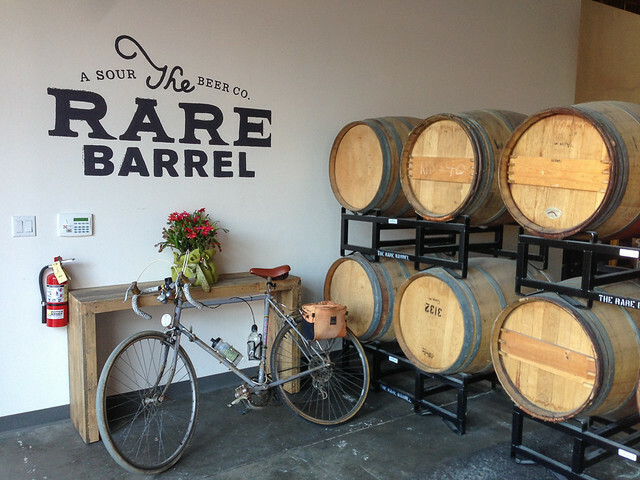 Rare Barrel (940 Parker Street, Berkeley): When I first heard about this planned brewery almost two years ago, I knew right away that I’d like it — Rare Barrel was planning to produce only sour beers. Though growing in popularity, this (my favorite!) style remains hard to find because these finicky, aged beers can take over a year to make. 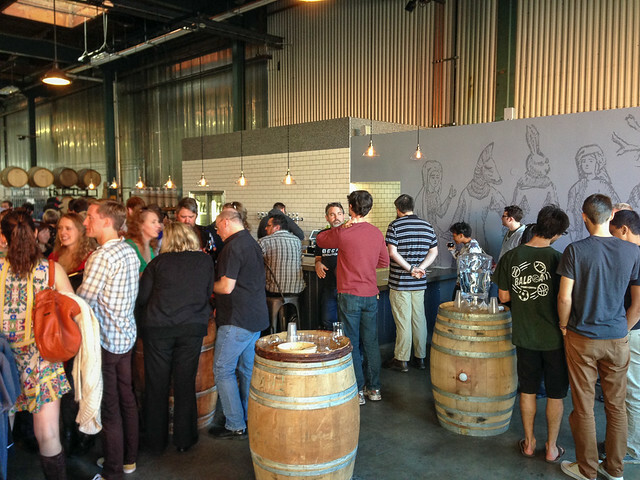 Since Rare Barrel’s tasting room finally opened in December 2013, I’ve been anxious to pay a visit. True to name, all of Rare Barrel’s beers are aged in oak barrels, so the barrel-lined tasting room looks more like that of a winery than a brew house. Their beers are not sold in tasting flights, so bring a group of friends and order a selection of beers and sample them all (as we did). Some of my favorites were an amber sour (Proportional Response), a dark sour (Shadow of their Eyes) and a really unique, dry-hopped sour ale (Egregious). They were all well-balanced with rich flavor and my instinct was right — Rare Barrel is my favorite new brewer in the in the Bay Area. 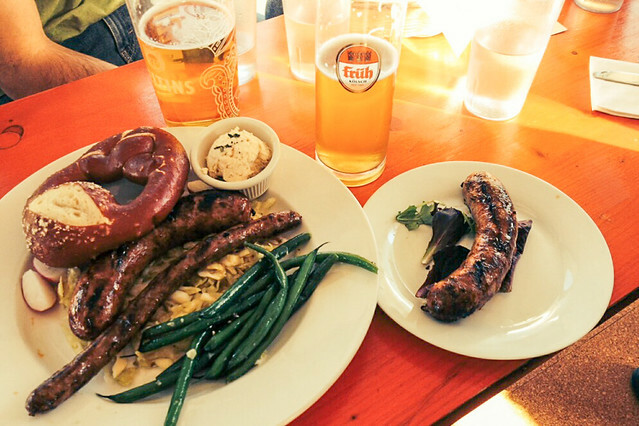 Brotzeit Lokal (1000 Embarcadero, Oakland): This Bavarian-style biergarden and restaurant is located right on the Oakland waterfront just south of Jack London Square. They have an enclosed waterfront patio looking out over the wharf, and a large indoor deck with full windows with a great view of the water. One friend said it felt like we were dining “on a houseboat”. This restaurant serves mostly German and Belgian beers, along with a few good California crafts. But the hearty Bavarian-style food was the highlight, including sausages, hot pretzels, and a few varieties of deliciously spicy homemade mustards. 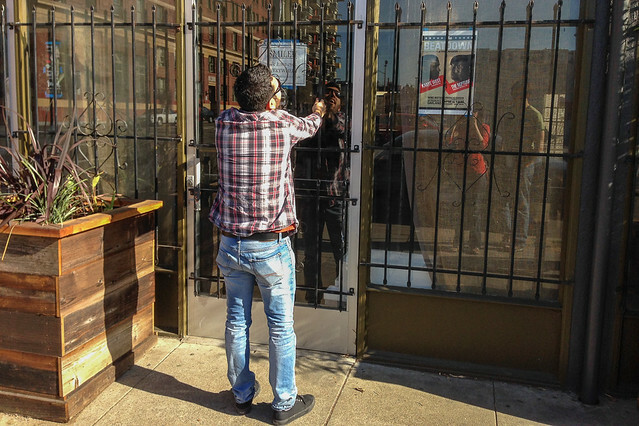 Beer Revolution (464 3rd St., Oakland): This little bar is not for people who have trouble making up their mind. Beer Revolution has an overwhelming choice of rare and unique craft beers. 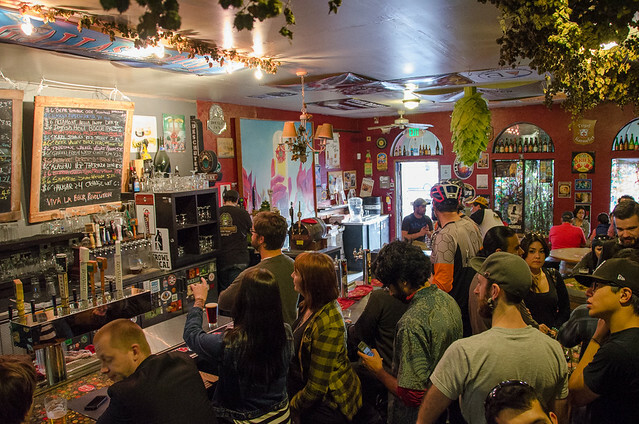 There are 48 constantly rotating beers on tap, and hundreds of hard-to-find bottles from around the world. All but the nerdiest of beer nerds will find something on tap that they’ve never tried. Beer bottles from around the world, vines of dried hops, and a giant hop-shaped pinata completed the beer-obsessed decor. 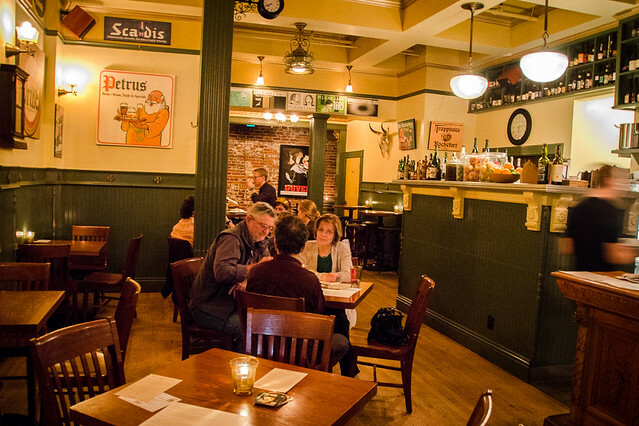 The Trappist (460 8th Street, Oakland): This Belgian-style beer bar built in an 1870’s victorian building downtown was modeled on the owner’s favorite pubs in Belgium. 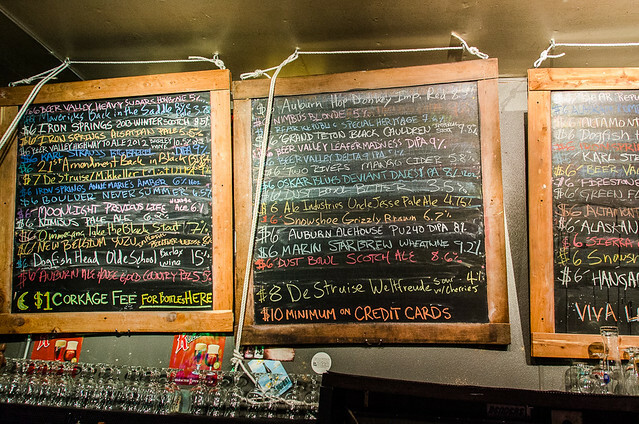 They focus on Belgian, Dutch, and Scandinavian beers and have over 128 beers on tap at two different bars. It was relatively quiet and a great place to end the tour with good conversation before breaking for the day. Good beer, good food, and a great reunion! 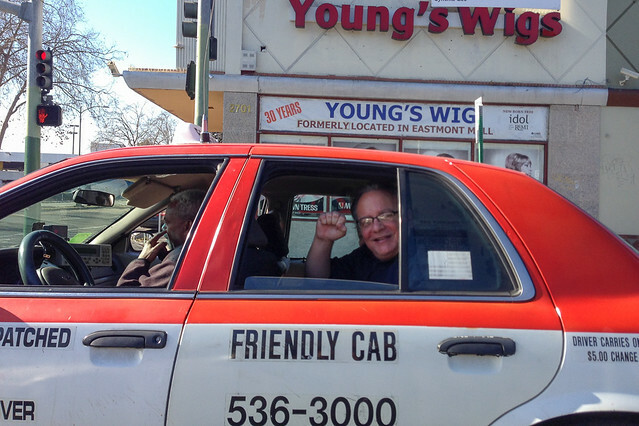 Are you interested in exploring Oakland and Berkeley with Ever In Transit? 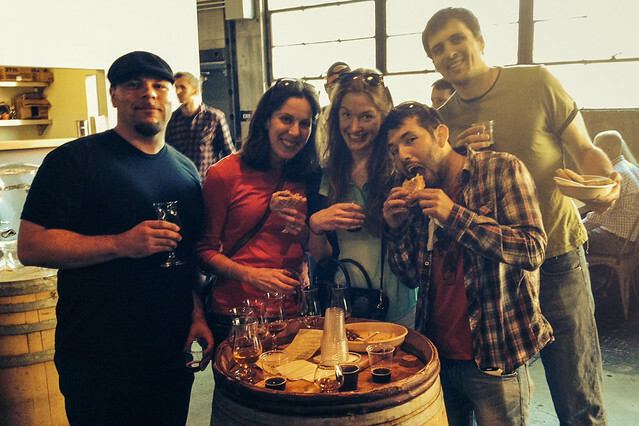 Join us on March 15 for our East Bay SweetsCrawl! We’ll be ending the afternoon at one of these great local bars, so RSVP now to save your spot! 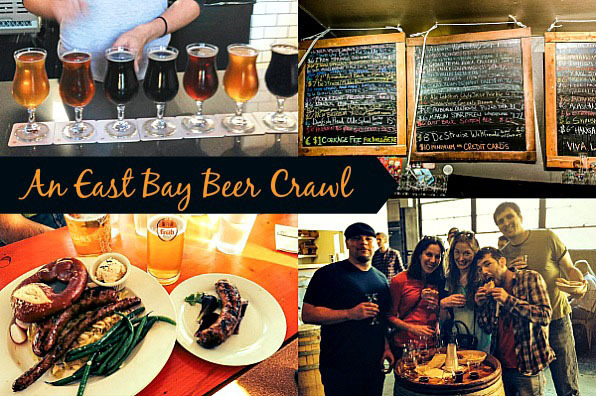 What are your favorite East Bay brewers or beer bars?